Sometimes teach physics, and a couple of years ago the colleague of the educational laboratory proposed to the students a simple experiment: a magnet that descends along a metal tube(1) does not fall at the same speed of the same magnet that we throw from the same height, for example, inside a not metal tube. The magnet inside the metal tube will drop almost as if it remained in suspension, swinging a little to the right a little to the left, in a manner apparently inexplicable, but just let us allow to the students, exceeded the initial amazement, to think above the phenomena, even without too much knowledge, and they realize that in some way that the behavior of the magnet inside the tube is due to an interaction between the two objects that goes beyond the simple direct contact. Rabbits are animals extremely prolific, almost legendary in their rate of reproduction, so that Leonardo Fibonacci, thanks to these cute rodents, discovered (or re-discovered) the series that bears his name: 1 1 2 3 5 8 13 21 and so on, and where each number is the sum of the previous two. 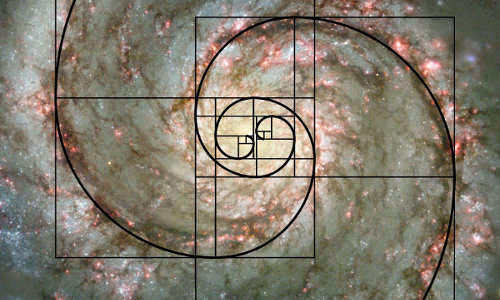 However, it is astonishing to note how pervasive within nature this series of numbers is: we can find it, for example, in the arrangement of seeds of sunflowers(1), in the structure of shells of turtles, in the spirals of seashells. 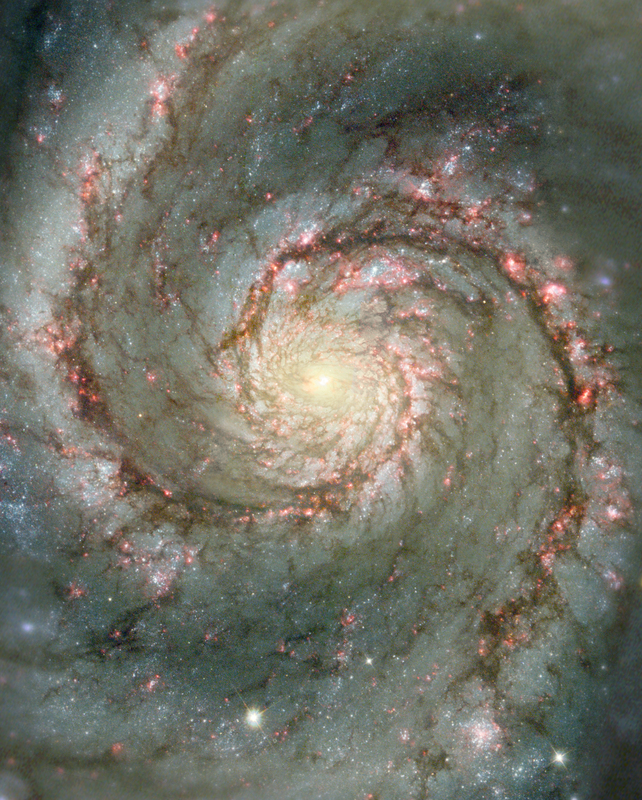 Or, again, in the spiral galaxies(2). The galactic matter, in fact, revolves around the center of every galaxy often making spiraling structures, arms of solid and gaseous matter that we can describe with the Fibonacci series as they fall toward the center, slowly swallowed up by an object apparently absurd but absolutely real: the supermassive black hole. So, within each spiral galaxy there is a black hole(3, 4), which at the same time is the reason for the existence(5) and the ultimate fate of galaxies like our Milky Way, the center of which lies Sagittarius A*(6). Almost nothing escapes from the event horizon of this cosmic monster: let you imagine the matter while, piece by piece, falls within it, decomposed into its fundamental constituents, and the only trace of this meal is a simple, small radiation X(7), a slight heat that escapes, evidence of a millennial digestion. It is in this border area that is brought Max Nomax, adventurer and genius, looking for "a cure for death", a way to be reunited with his beloved in life, the protagonist of a classic cosmic science fiction story written by the equally genial Ray Spass, Hollywood screenwriter in creative crisis and tormented by his manager, who presses him to get the script for a new film series, Annihilator. 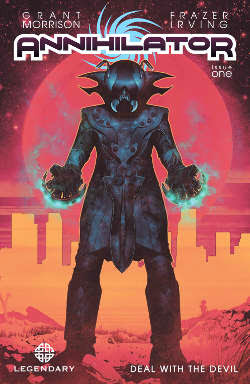 With this latest work Grant Morrison, mixing the classic kirbyan superhero inspiration with real insights arrived from his Hollywood's patronage, builds a story that is a bit of an existential drama, a bit of a parody of the world of cinema, a bit of a great science fiction story. The comparison between creature and creator, here achieved simply with the description of their respective alternate adventures, brings near the two main characters, both anti-heroes, and from another point of view move them away for motivation and potential, creative or destructive according to their motivation.